Okay, let me give you a brief history. Back in April of this year, my boyfriends roommate passed away. They were best friends, it was awful, and he decided he could no longer stay in that house that they lived in together. So, I suggested we move in together and find an apartment as soon as possible. Seeing as how I acted rather quickly, I suppose we sort of walked right in to a trap. I found an ad for an apartment on craigslist, met up with the landlord, fell in love with the place, and before we knew it, we were packing up our stuff and moving in. After a while, we started to notice some....things. For instance, right off the bat we noticed a lot of ants. We thought, "whatever, no big deal, we'll just go to the store and buy some traps and call it a day." Once the ants were gone, we started to notice spiders. Again, we thought, "okay, well, this isn't cool but whatever, we'll just get some bug spray and call it a day." Fast forward a few months later, we noticed ROACHES! At this point, my patience was wearing thin. Neither me or my boyfriend had ever had bug problems like this before. We called our landlord, who got an exterminator to come in and ONLY treat our apartment and not the others, which was proven pointless, as I had asked other residents if they had a problem with roaches and they said they did. Apparently we were the only residents in the building who actually cared enough to do something about it. Super frustrating! The only thing we could do was buy some boric acid and go around the entire perimeter of our apartment with it, and it actually worked. A few months later, my boyfriend woke up one morning with something crawling on his leg, and he had bites all over him. I thought, "wait a minute, where have I heard of something like this before? Oh, crap....it better not be what I think it is!" BED BUGS!! I had seen a documentary a while ago and the horror stories were definitely memorable to say the least. I quickly grabbed a flashlight and inspected the bed. There they were. Adults, nymphs, you name it, all along the edge of the bed, particularly on the bed skirt. Immediately we threw away our mattress and bedding. We inspected the couch, thoroughly, at first not seeing any but later on in the night we noticed a few. We threw out the couch too. Suddenly I started thinking about some rather strange events that had been taking place in our building as of late. Specifically, I noticed our downstairs neighbors throwing out a box spring and other random furniture a few weeks prior and thought nothing of it. Until now. Lo and behold, when I asked them about it, they said they've had bed bugs for quite some time. I thought to myself, wow, thanks for not telling us, and thanks for not letting the landlord know, because after calling him to ask about an exterminator for the bed bugs, he blamed me, and wanted me to pay for an exterminator for the entire building. At this point I had had it! All I could do was break down and cry, which went on for about a day or two and then I thought to myself, ya know what? I'm done. We're out of here. This in insane. We can't live like this anymore. This building is infested and nobody seems to care. I found a house to move in to shortly after. That's when I turned to this website. 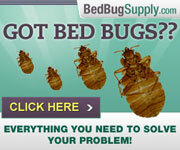 I have been reading tons and tons of information on how to move and not take these bed bugs with you. We have taken no fabric furniture. The only things we have taken furniture wise are a kitchen table, chairs, and dressers, all of which have been thoroughly inspected and sprayed down with rubbing alcohol. We washed every piece of clothing we had in hot water and then dried on the highest heat setting in the dryer, bagged them up and moved them. I vacuumed all of my purses, shoes, stuffed animals (don't judge me lol), and sprayed them all down with alcohol, bagged them up, and moved them. All of my electronics I sprayed down with a can of air, inspected the hell out of them, and didn't notice a thing. To be perfectly honest, I have only seen 2 bed bugs since we tossed our furniture, but I know better than to assume there isn't more. Basically we did the best we could with what resources we had. 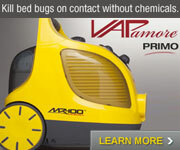 And I would just like to know your opinions on what our chances are of being bed bug free? I would really appriciate some responses thanks! While I appreciate the response, I think you must have misunderstood, or perhaps I worded this in a weird way in which case I apologize, but I did move out of the infested apartment. I moved into a house about 20 minutes away from where I was living with the bug problems. My question more or less was if I am being safe enough by trying to treat everything myself or if the odds of me bringing these nasty little bugs with me are greater than not bringing them. 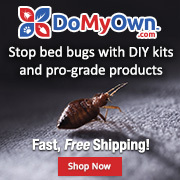 I'm just trying to make some sort of semblance out of this whole situation because every website on bed bugs has very different opinions, and while I know I won't have a rock solid answer until I do or do not see bed bugs, I was wondering, in your opinions, what my chances are of being rid of them?? The only things we have taken furniture wise are a kitchen table, chairs, and dressers, all of which have been thoroughly inspected and sprayed down with rubbing alcohol. If you have been reading here then you know that alcohol is a contact killer and will only kill any actual bugs you spray with it, it will not kill any eggs if eggs are present on the furniture. I don't know where you are located - and it sounds like you have already moved - but in certain areas there are Vikane treatments and heat treatments available, in moving vans, pods, or trucks, that people do when moving from one location to another. We washed every piece of clothing we had in hot water and then dried on the highest heat setting in the dryer, bagged them up and moved them. I vacuumed all of my purses, shoes, stuffed animals (don't judge me lol), and sprayed them all down with alcohol, bagged them up, and moved them. 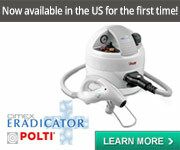 I have read over and over on the Forum that heat is the best treatment for personal items. It is good that you washed and dried and bagged your clothes. Regarding the purses, shoes, stuffed animals. I would personally either put them in a dryer if possible or PackTite. 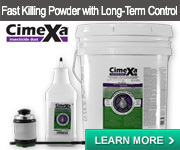 Again, the alcohol is only a contact killer for the bugs. All of my electronics I sprayed down with a can of air, inspected the hell out of them, and didn't notice a thing. OK, you CAN treat your laptop (and other items) successfully using the Nuvan Prostrip. Note, that if your able to keep your laptop in an area where the temperature is warmer tha it will work faster for a number of reasons. Additionally, you might also place your laptop into a large plastic storage bin and use a hair dryer to heat it up gently to kill all bed bugs and eggs therein, if any as well. You will want to measure the temperatures your hairdryer produces on the various settings using a thermometer. The lethal threshold temperature is 113 F but it takes longer to kill at that temperature than it will at 122 F.
At 122 F you can kill ALL bed bugs and eggs in about one minute or less. Note that you will need to assure that the lethal temperature is reached within your laptop. Doing so "gently", at temperatures that do not exceed about 122 F, should not harm your laptop. Basically we did the best we could with what resources we had. 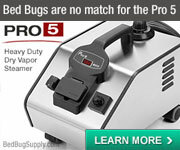 And I would just like to know your opinions on what our chances are of being bed bug free? I would really appriciate some responses thanks! It does sound like you took preventative measures. 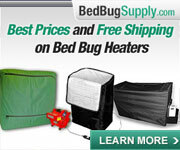 I don't think anyone can tell you what your chances are of being bed bug free. I think it would be a good idea if you keep monitoring and inspecting for early detection if necessary. There are good tools for helping you monitor. Again, I am sorry you are going through the stress of this! @AbsolutelyFreaking, thank you so much for the response! Everything that we brought with us SEEMED perfectly fine, but that doesn't necessarily mean it IS perfectly fine lol. I suppose the best part about the move is that we moved from an apartment to a house. So I figure, absolute worst case scenario, if we did happen to bring some with us, I can just pay for an exterminator and not wait on a landlord who doesn't want to deal with it, or pay for it, or treat any of the other apartments in the building. If I had it my way before, I would have hired an exterminator the very first day I noticed the bed bugs. I truly sympathize for anyone out there who lives in an apartment that has become infested and the landlord doesn't want to take any action....ugh it is so frustrating. Again, thanks for the response, I really appreciate being able to talk to people who have dealt with this kind of thing before. It really helps. 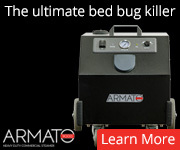 Other post deleted above was from someone spamming us with subtle ads linking to their bed bug information site. Well, it's been one week in the new place and so far no signs of bugs or bites! I know that a week isn't nearly enough time to asses whether or not I moved successfully, but I am happy to report that so far things seem to be going pretty well! Here's to hoping I am free of bed bugs!